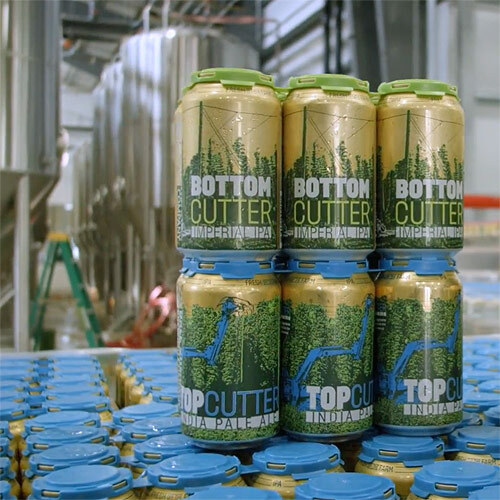 Bale Breaker Brewing Company is located in America’s premier hop growing region, surrounded by the hop farms, and sits on the corner of one of our family’s hop fields--Field 41 to be specific! 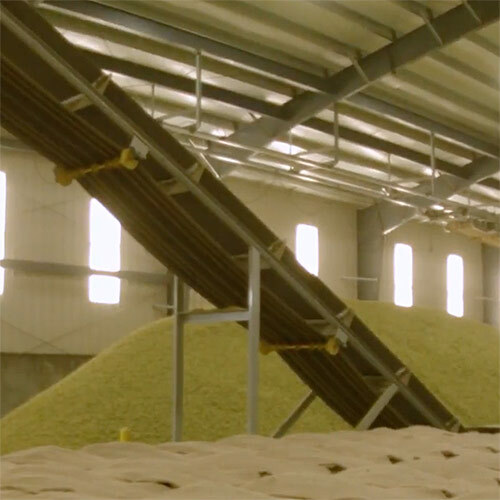 It’s no surprise that our handcrafted ales feature these world-class hops. We're as #freshoffthefarm as you can get. Hop farming is in our family’s DNA, dating back to the year before prohibition ended, when our great-grandparents B.T. and Leota Loftus planted the family’s first five-acre hop field in the Yakima Valley. 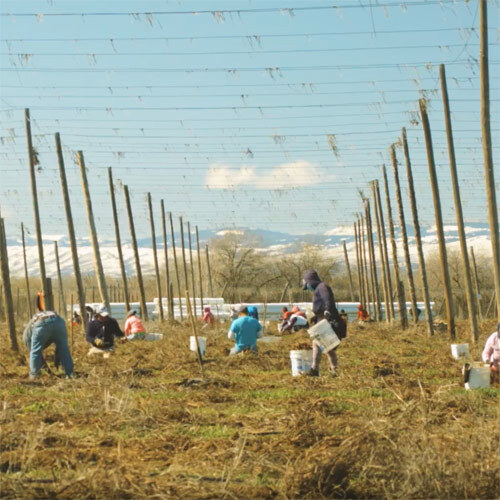 Long, sunny days, dry conditions and easy access to irrigation combine to make Yakima one of the few places in the world where hops planted in the spring can be harvested in the fall of the same year. 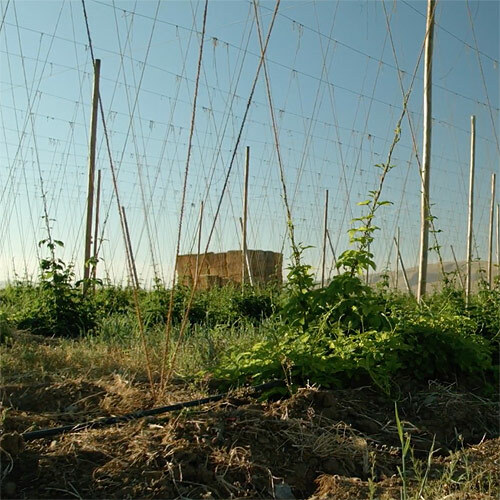 Today, Yakima Valley is responsible for producing about 75% of America’s hop crop. 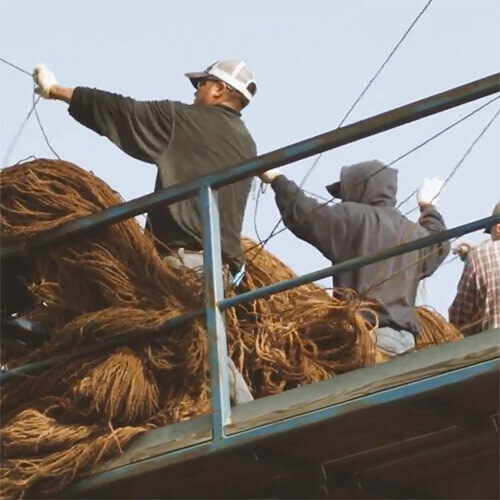 While the brewery is located in their family’s hop field #41, Bale Breaker Brewing Company is operated as a separate entity from all farming operations. The family’s farm, B.T. Loftus Ranches, is now in its fourth-generation of family ownership, with its daily operations managed by Patrick Smith and his parents Mike & Cheryl Smith. About B.T. Loftus Ranches Inc: Established in 1932, B.T. 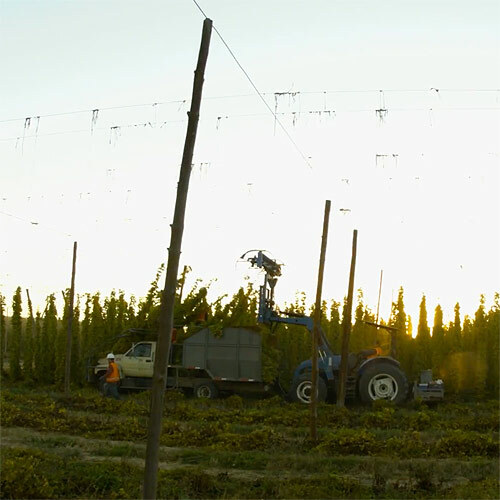 Loftus Ranches Inc. is one of the Yakima Valley’s longest running hop farms. In 1920, the Loftus family moved to Moxee in pursuit of work on the railroad and began farming a variety of crops and livestock. Twelve years later, B.T. and Leota Loftus, great-grandparents of Patrick, Meghann, and Kevin, established the family’s first five-acre hop farm. 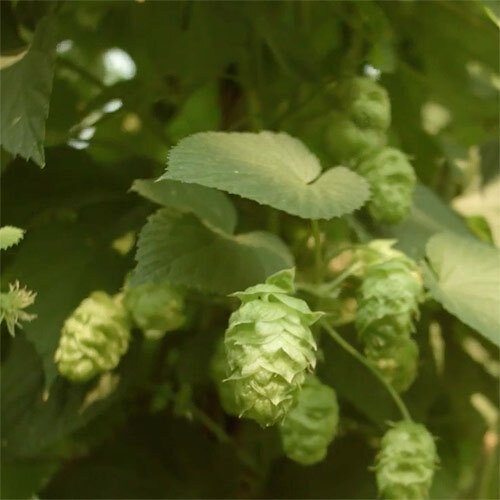 The farm is now involved with Select Botanicals Group and the Hop Breeding Company, growing 9 different varieties such as Cascade, Simcoe®, Citra®, and Mosaic®. Loftus Ranches is one of the largest growers for the craft beer industry, valuing quality, sustainability and innovation. They are dedicated to their craft and look forward to growing varieties that meet the needs of microbrewers for many years to come.